It is with deepest regret that we announce the deaths of the following valued members, volunteers and staff. Eric Ashcroft died at home on 24 June 2018, peacefully with Joan his wife, Nicholas his son and parish priest Fr Neylon. Eric was born in St Helens, he grew up in the Running Horses pub and trained as a mechanic. He then went into National Service and later became a school teacher, while giving more than forty years of service to the SVP. Eric’s membership began with the St Teresa’s Conference, and he went on to hold numerous positions including two terms as president of the South West Lancashire Central Council. To many who knew him, Eric was the embodiment of the motto “turning concern into action”, only retiring aged 81 when forced into lengthy hospital stays due to a sudden Leukaemia diagnosis. 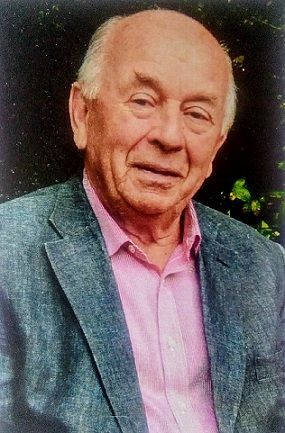 Eric was forever a stalwart of St Teresa’s parish, a supporter of numerous charitable causes and enjoyed local clubs, sports and social interests, seemingly getting busier and busier as his retirement went on. We were touched by the number of SVP members in attendance at his funeral and the kind messages sent from the charity. Eric left behind a legacy of doing the good work without ever seeking recognition and if we had one thing left to say to him it would be thank you, Eric. We are very sad to report that Aidan Smith died on Tuesday 18th September 2018. Aidan was a long standing member of the S.V.P. in Grange over Sands where he lived for all his life, raising a family of six with his wife Veronica. He was President of the St. Charles Borromeo conference for many years, until shortly before his death when he handed on the Presidental ‘baton’ to his successor, and had also been a District President in the past. He was a well-known and well-loved figure in the town and an important member of the community in many ways. Until fairly recently, Aidan was always in attendance at the Grange Town Council meetings, held monthly on a Monday night at Victoria Hall. He had been a member of Grange Town Council for over 30 years before retiring in 2007 and he was Mayor of the town on two occasions: 1989/90 and 2002/03. He was born, and grew up, in Grange-over-Sands and had a long and distinguished career for more than 40 years in education culminating in the role of Deputy Head at St. Bernard’s secondary school, (formerly St. Aloysius), in Barrow, and received a papal medal for services to education He has always been a ‘leading light’ in the Town, a lifelong supporter of St. Charles RC Church and many organisations. He was an active member of the Natural History Society and Probus to name just two. An enthusiastic gardener, he was renowned for his vegetables and for growing pounds of the raspberries he could always be seen sitting amongst, and collecting, in the summer months. Aidan always had Grange at the heart of any decisions he supported in his quiet and measured manner. His knowledge of the Town and its history was phenomenal. We have lost a true gentleman who will be sadly missed. Our sympathy goes to his wife, Veronica, and his family. Michael was born in Manchester, educated at St Bede’s College and, after National Service in Iraq, worked all his life in the paper industry. He was a faithful member of The Holy Name Conference in Leeds for over 30 years, being a most assiduous treasurer for most of that time, as well as making a significant contribution to Parish life; through the SVP, he was the first to offer practical support with furniture, repairs and financial advice, but his real forte was visiting. Alongside his work as a member of the SVP Michael was hugely involved in the work of the Sylvia Wright Trust, a charity supporting the work of Sylvia Wright, a nurse from Leeds who built a hospital, a school for deaf children, a day centre for disabled children and a nursing college in South India. Michael was a founding member of the Trust, as well as a chairman, a Trustee and a friend for 36 years. Further friendships developed through the Catenians, of which Michael was a member for over 50 years in Manchester, Warwickshire and Leeds, being president of the City of Leeds Circle on two occasions. Michael’s circle of friends was legendary and was maintained by his kindness and by continued contact through his wife Judith’s conscientious letter writing and generous photograph sharing. Michael had a deep and true faith and love for his family. He was full of life and enthusiasm, for rugby, for golf, tennis and squash, gardening, singing and especially for good works. James (Jim) McEvoy, dedicated member of the SVP for more than three decades, passed away on 18th December 2017. Jim held several SVP posts within the Diocese of Brentwood, initially as a member of Immaculate Conception Conference, Chelmsford. In the 1980s he was a founding member of St Augustine’s Conference, Springfield, holding positions of Treasurer and President. Jim was later elected as Chelmsford District Council President and Twinnage Officer for Brentwood Central Council. Over the span of his life, Jim’s work was extensive; from supporting the distribution of food to needy families in his local area, to providing temporary accommodation for the homeless in partnership with Churches Together in Chelmsford; whilst as a Twinnage Officer Jim supported various ongoing projects including the Indian Student Sponsorship Scheme, the Sudan children’s feeding programme, and the “Self-Help Village Plantation” in Madurai, India. 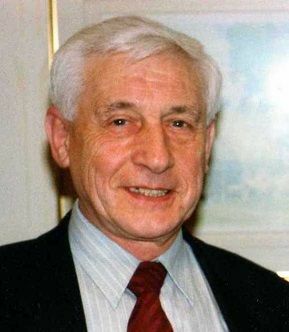 At the time of his death, despite failing health, Jim still held the post of Chelmsford District Council President, persuading members to carry on the task of helping the City’s needy. He’ll be greatly missed by SVP members, parishioners and the many whom he directly helped for more than thirty years. One parishioner suggested, “Mr SVP Chelmsford” as a suitable epitaph. Those of us who have worked alongside Jim and learned from him would certainly agree with that! Peter was on the Board of National Council, firstly as the President of Northampton CC in the late 60's. In 1972 he was elected National President for England & Wales. Having been a member of the SVP in his home town of Bedford for many years, also a prison visitor, he was very alert to the work of the SVP and the members. In his time ladies became full members of the SVP, it was this decision taken on a Worldwide basis, which has served the Society so well. Peter was born on Christmas day 1927, the oldest of three children, his father was a Dentist, so they moved around London and other places in the UK during his childhood and teens. After school, Peter joined the Bank of England and met his lifelong friend Tony Ockenden, in 1946 he was called up for National Service in the RAF, after demob in 1948 he entered Guy's Hospital to train as a Dental Surgeon. Whilst at Guy's he spotted a girl called Dilys,having been introduced by a mutual friend "Dilys, this is Willis, he wants to meet you!" Dilys became an RC before they were married in 1954, he joined his father's dental practice in Bedford. After Peter stepped down as National President he joined the Trustees of the David Young's Charity and served as Secretary for some years, he and Dilys were also involved with working with the Deaf. Peter was a lovely man in all senses, and I was very fortunate to work with him as National Secretary and on the David Young's Charity. His Funeral was packed with Family, Friends, SVP, Catenians, Knights of St Gregory, and Equestrian Knights of the Holy Sepulchre. He was a fine man, and we are all blessed if a little of Peter rubbed off on ourselves. May he Rest in Peace. A member of St Edwards & Holy Spirit Conference, Runcorn, Cheshire for 13 years, Anne passed away on 15th October 2017 after a short illness. Anne was a loving, caring and unassuming lady who enjoyed being a Vincentian. She was much loved by those she visited and by all her Sisters & Brothers in the Conference. She will be sadly missed. President of St Chad and All Saints Conference Sedgley, Dudley. 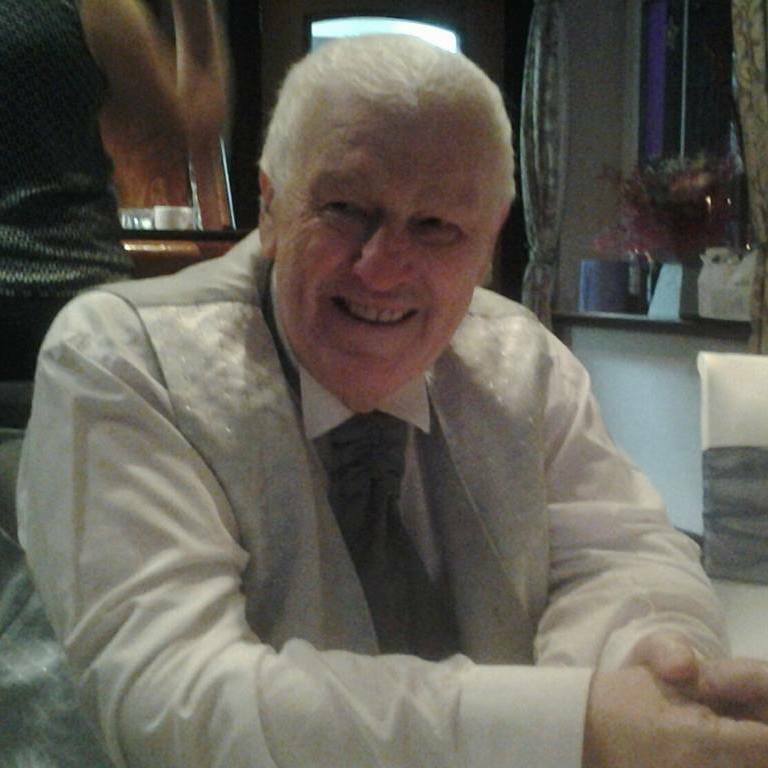 John passed away suddenly on 26 August 2017 while recovering from a short illness. 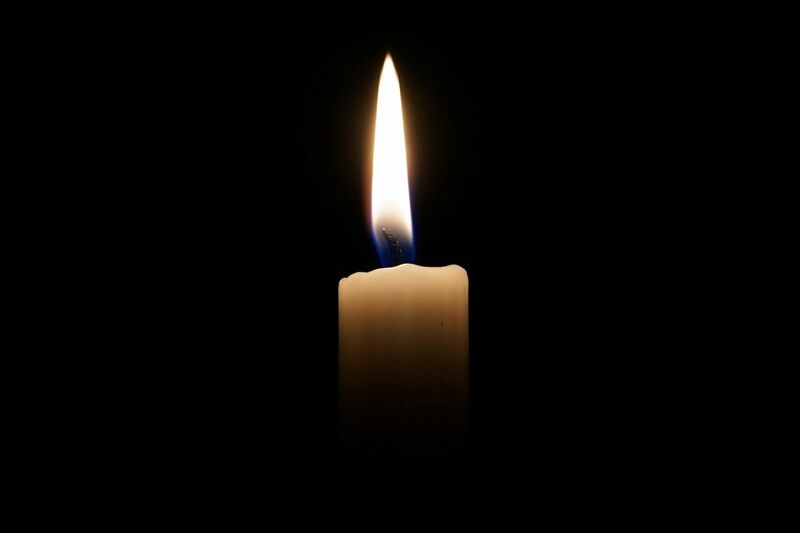 He had been a member since 1978 and was a wonderful caring person who always gave his time and support to everyone who came into contact with him. John kept the Conference alive when there were only two members and encouraged new people to join so that the Conference now has a membership of seven enthusiastic volunteers. His generosity and willingness to help is a great loss to the SVP and St Chad and All Saints Parish. He will be greatly missed by all who knew him. His funeral on 7th September was packed with family, friends and colleagues and was a testament to the esteem in which he was held. God Bless Him. Roland Catlow - Former President of St Anthony's Conference, Fulwood, Roland served as President of Preston District Council for the past 4 years and retired from the SVP only in September thie year. 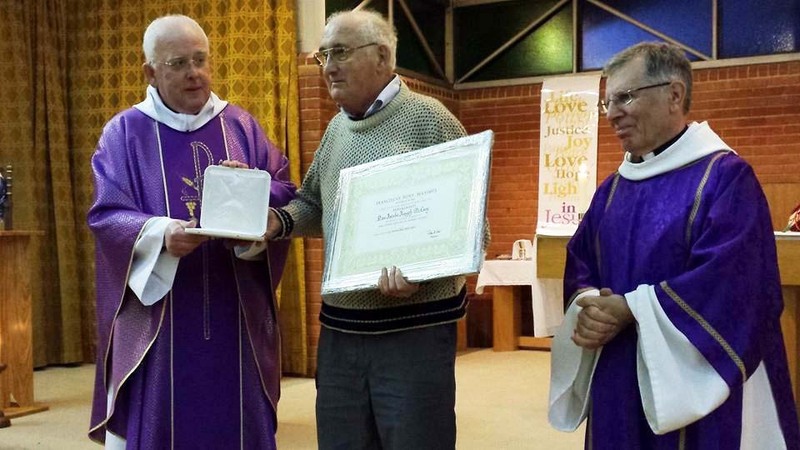 In addition to being an active SVP member, Roland was also a Eucharistic Minister and often took communion to sick and housebound people in his community, including to Derby Lodge, a care home in Preston for young adults with physical and learning disabilities. 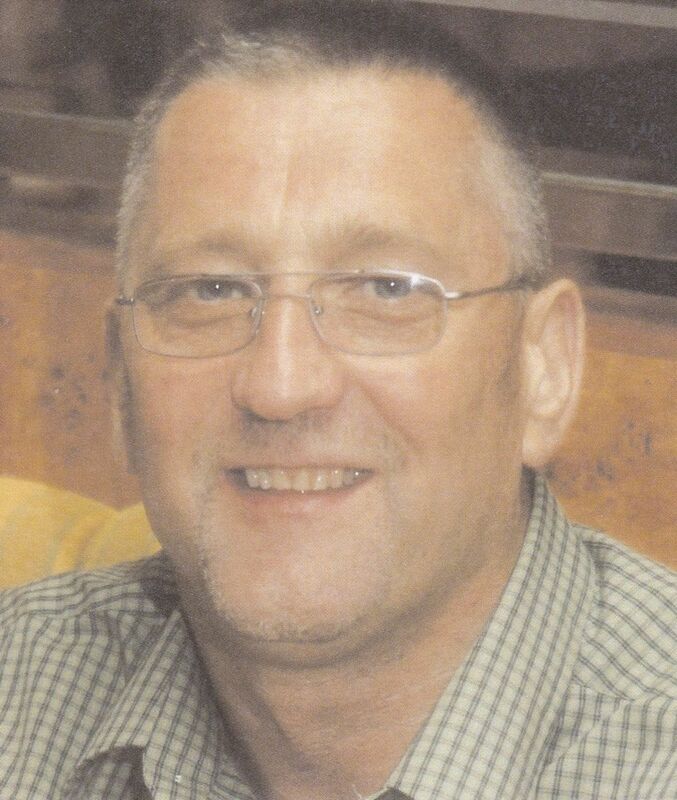 As well as a loyal Preston North End supporter, Roland was a well-known, much liked and totally unselfish Vincentian who will be greatly missed by all who knew him. President of St Joseph’s Neath Conference, passed away on 16 July 2017 after a courageous battle. Peter served as President in Neath for a number of years and worked hard to retain the presence of the SVP in the local church. He was a much welcomed visitor to many parishioners' homes. In 2016 Peter welcomed a Polish family to our church and his family home. The purpose of their visit was to see the grave of their uncle, Jan Pojasek, who tragically died in 1952 while working on the construction of a new bridge. It was their lifetime ambition to pay their respects, as the SVP were responsible for the upkeep of the grave, which was refurbished by the local Conference and will be maintained for as long as possible. On May 26th 2017 George Mackie, President of the SVP Conference at St Patrick’s Grangetown Cardiff, passed away suddenly whilst on holiday. He was a wonderful SVP member, who always gave his time and his support to everyone who came into contact with him. His generosity and his willingness to help is a significant loss to the SVP and St Patrick’s Parish. He will be greatly missed by all who knew him. His funeral on 21st June was packed with family, friends, and colleagues and was a testament to the esteem in which he was held.